It’s a fact that bridal parties have a budget. 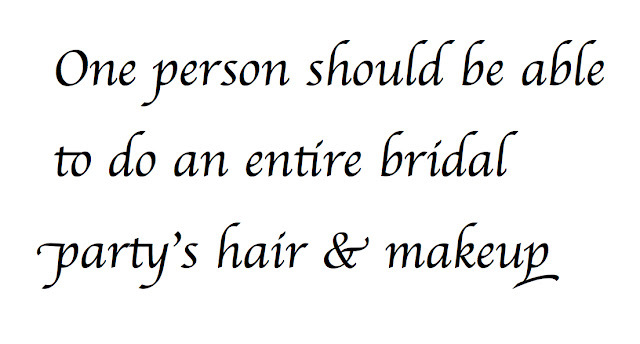 I also know many bridal parties want to cut corners by only using one person to do hair and makeup services. 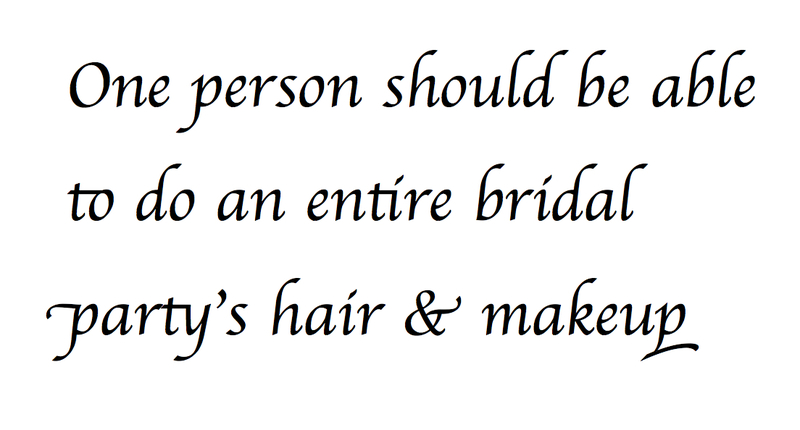 When I work weddings with a hairstylist, things progress much smoother and quicker when we work together, because while one person is getting hair done, another person is getting makeup done. Hairstylists and makeup artists are artists. I want you to look your best and to do a great job. So do the hairstylists and other makeup artists I work with. We all take pride in our work and we also want to allow time to get our work done perfectly. Asking one person to do both services greatly limits the amount of time and attention the artist can spend with each client. The most vocal one in the bridal party will probably get the most attention and this may cheat the bride out of her allotted time. The wedding day is the bride's day to shine. The smallest of details overlooked are the biggest to be noticed (ie, missing bobby pins & falling hair or false lashes that aren’t applied properly). In the Houston area, many solo makeup artists, who also offer hair services, do not have the state license. Be sure to ask about their hair license before you book with them.